The quickest street-legal Mustang ever produced in history goes on sale this fall. Fans keeping an eye on Hellcat would have to reconsider. It’s the 2020 Ford Mustang Shelby GT500 – a 700-horsepower road monster. The car’s name, which is the latest iteration of Ford's Shelby GT variant – the iconic Mustang pony car, comes from Carroll Shelby, a racer and engineer. He worked alongside Ford in the design of the first Ford GT500 in 1967 which has now become a legend among American muscle cars. 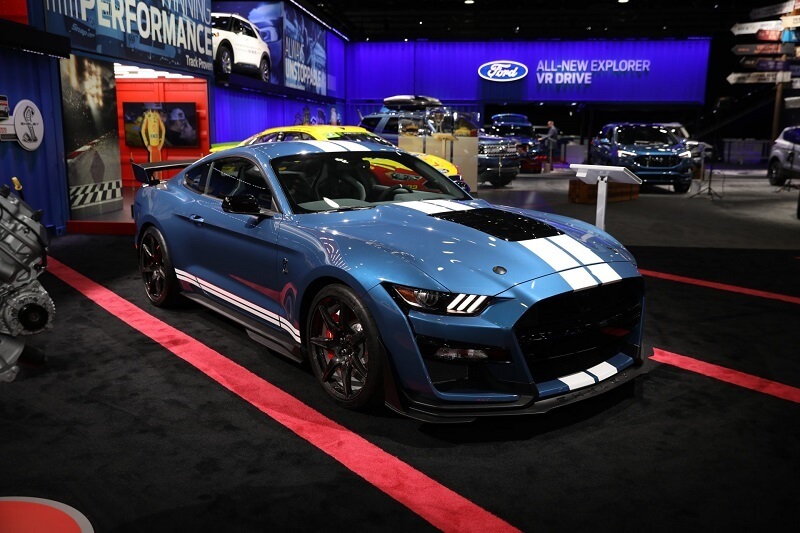 The 2020 Ford Mustang Shelby GT500 made its debut on Monday, at the 2019 Detroit auto show. Ford confirmed that the new Mustang covers 0 to 60 miles per hour in the "mid-3 second" range. In the design, Ford borrowed technology from both its GT supercar and the race-tuned Mustang GT4. Despite that, there are lots of creature comforts of a conventional car inside. They include a B&O sound system, power adjustable seats with optional suede fabric and SiriusXM radio. This level of comfort, however, does not make it a family car. To reduce the weight of the vehicle, Ford did not include a rear seat within. According to Ford Executive Vice President Jim Farley, Carroll Shelby, who died in 2012, would love and consider this Mustang his best. Less than a year ago, Ford said it’s planning to cease sales of its sedan cars in North America entirely in the next few years. Hence, the production of Mustang Shelby GT500 is a huge statement from the company. Peradventure this plan is followed through; it means the Mustang would be the last traditional passenger car in its lineup. The 707-horsepower Dodge Challenger Hellcat has really generated for Dodge and Fiat Chrysler lots of buzz. However, it’s expected that the GT500's massive 700-horsepower engine will be an overall rival to that. The 2020 Ford Mustang Shelby GT500 is powered by a 5.2-liter aluminum alloy V8 engine with a supercharger. Ford included more massive connecting rods and used wire-arc cylinder liners to reduce weight. It also re-engineered the oil circulation system to reduce vibration and boost the engine’s efficiency. This produces 700+ hp and 650 pound-feet of torque. Mustang Shelby GT500 is coming with only a single transmission option – a new Tremec seven-speed dual-clutch unit which requires less than 100 milliseconds to shift smoothly. According to IHS Market analyst Stephanie Brinley “The GT500 is not meant to be a high-volume car, but it could prove quite valuable as a "halo" vehicle meant to draw buzz around the brand”. Unlike the Challenger and Charger Hellcats, the GT500 is essentially a street-to-track car for the Mustang, Brinley added. Despite its low volume, it comes with big excitement. For Brinley, the importance of getting the public excited about the company’s brand and vehicles, in general, can’t be overemphasized. It may be a utility vehicle, a sedan, or even a sports car, the excitement is an integral part of the sell. She hinted that bold statements are made with the excitement generated, as long as it matches the brand.